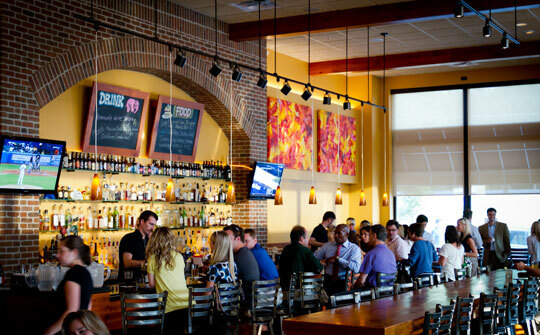 Kaleidoscope Bistro & pub is a neighborhood place, nestled right in the heart of Brookhaven. Our aim is to create a comfortable environment with great food, great beer, and great service, all at an affordable price. We are committed to using only the highest quality ingredients, including antibiotic and hormone free proteins and produce from local farms. So please, come join us for a meal, a drink, or just to hang out with your friends and neighbors! Many people wonder, how did we come up with the name Kaleidoscope? Well, the idea is that every time you look into a kaleidoscope, you see something colorful and different. We have chosen to apply that concept to our own menu. We call our cuisine “global comfort food.” Both our food and drink menus are ever changing. We feature seasonal items and daily specials. Equal parts dedication, discipline and natural ability form the recipe for success for Joey Riley, executive chef of Kaleidoscope Bistro & Pub, Atlanta’s newest arrival on the dining scene. As a child, Riley had an unmistakable passion for food and cooking. He spent a great deal of time in his great-grandparents’ restaurant and began officially working in the kitchen for summer and after-school jobs at age 11. His talent, strong work ethic and drive to achieve translated easily into what would become an accomplished culinary career. Riley turned down a full soccer scholarship to pursue his dream of becoming a chef. He attended the acclaimed Culinary Institute of American in Hyde Park, New York, and after graduation, earned a spot in the school’s apprenticeship program working at the Cherokee Town Club in Atlanta. Working with several Master Chefs, a designation earned by a select group nationally, at Cherokee was a defining opportunity for Riley. He spent four years learning, perfecting techniques and developing his own style for combining flavors. Riley’s background includes more than 10 years working for Atlanta’s Here to Serve restaurant group in various capacities. 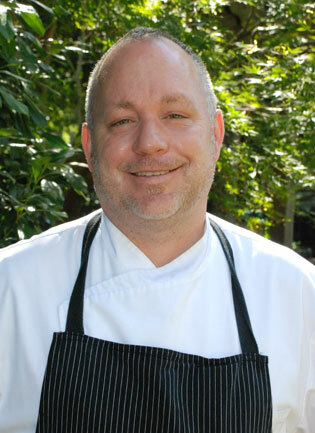 He worked as executive chef of Goldfish, Tom Tom and Indigo. His sense of adventure led him also to consulting roles with Monty’s Stone Crab in Florida and with Charlie and Nan Niyomkul for the kitchen design and menu development of Nan Thai Fine Dining in Atlanta, an opportunity that allowed him to travel in Thailand and to exercise his skills and enthusiasm for Asian flavors. At the renowned Buckhead Diner, where Riley was Executive Chef for more than five years, he embraced the challenge of running a busy, seven-day-a-week kitchen with consistency, grace and acclaim. Riley’s dream of opening his own restaurant has become reality with the introduction of Kaleidoscope Bistro & Pub to the Brookhaven neighborhood of Atlanta (opening November 2010). The restaurant’s menu will reflect Riley’s diverse culinary experiences and inspirations with colorful, flavorful food from all over the world and a cooking style defined by a commitment to high quality, local, seasonal ingredients. Its personality will be that of a warm & friendly neighborhood eatery – with a personal touch in everything from food to service. Riley is an avid soccer fan who lives in Brookhaven. In his free time, he enjoys spending time with his son, Ethan, born in 2003.